Father’s Day food is something I’ve been thinking about right now to make the day special for my husband and dad. I’ve found though we like heading out to a restaurant, we always seem to enjoy our time together more for Father’s Day when we relax at home with the family. If you need some delicious recipes ideas for Father’s Day food, I have you covered! 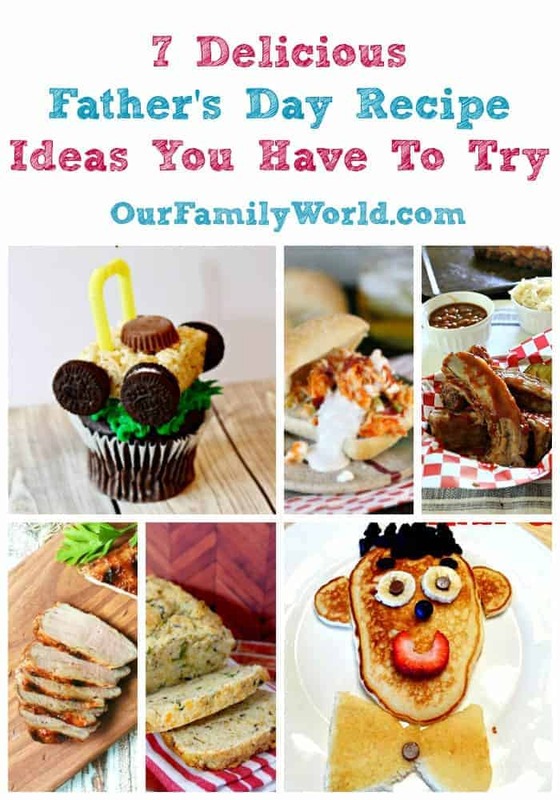 Check out my seven favorite food ideas to make for Father’s Day this year! Which of these Father’s day food ideas would you give a try? I’m leaning towards some ribs with that jalapeno cheese bread. Which recipe will you try? This time of year my whole family often wants nothing more for dinner than to hang out I the backyard around the grill. 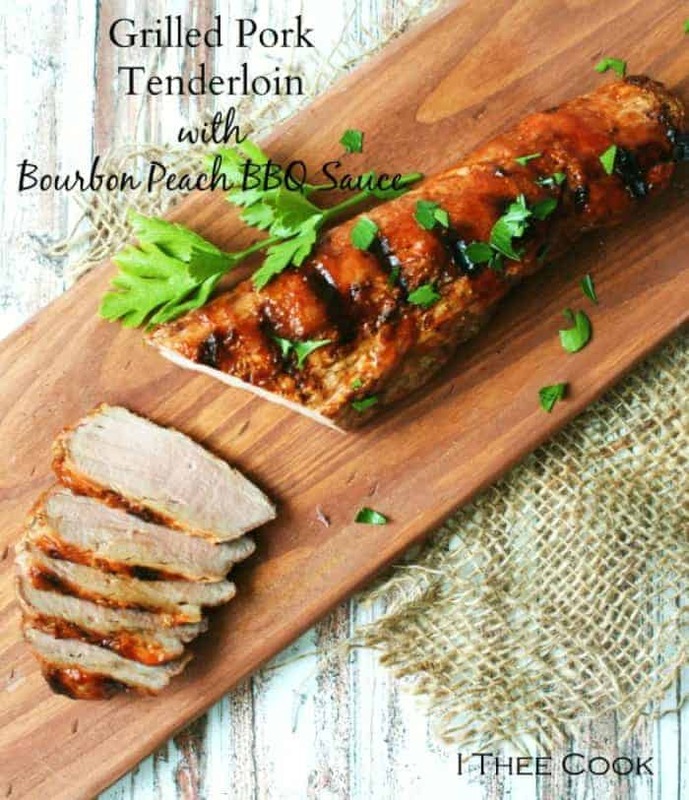 Check out this delicious Grilled Pork Tenderloin With Bourbon Peach BBQ Sauce, which is perfect for Father’s Day. The combination of sweet and tangy on this pork will make it one of your new favorite recipes! The dad in our house loves homemade bread, and this Jalapeno Pepper Cheesy Bread Recipe will bring a big smile to his face! If you like yours a little less spicy I recommend using pickled jalapenos from a jar over fresh. While I normally advocate for fresher ingredients, pickling jalapenos will bring down the heat a little. 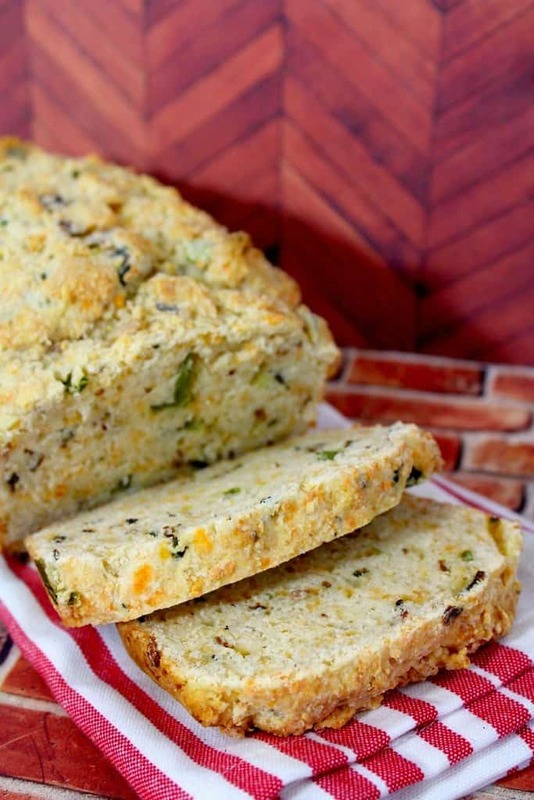 This bread is super delish, and you have to give it a try. Making ribs can be a little bit intimidating sometimes, especially when you don’t have a booth hung with thirty medals and trophies like at the rib festivals! The good news is these Easy Low, And Slow Ribs will taste like you’ve earned those trophies! 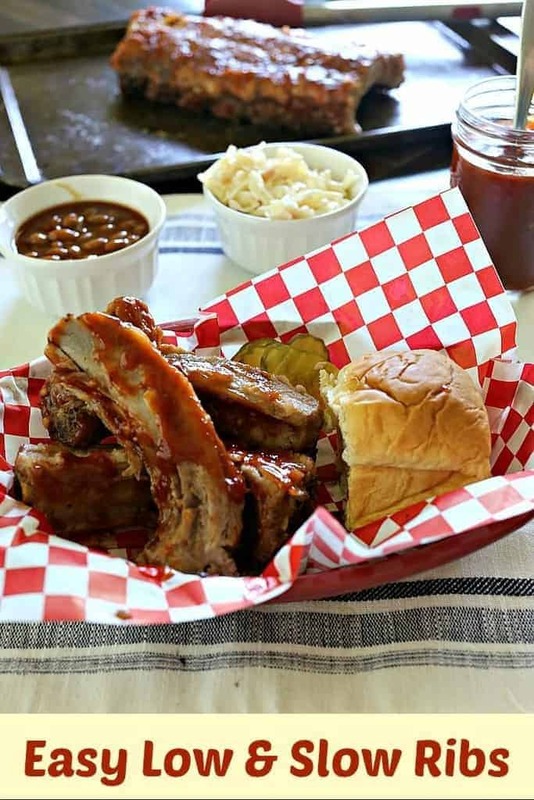 Ribs are always a big treat for my husband, so I know he would be thrilled to hear ribs are on the menu for Father’s Day! Yup, you heard me right, a slow cooker recipe! 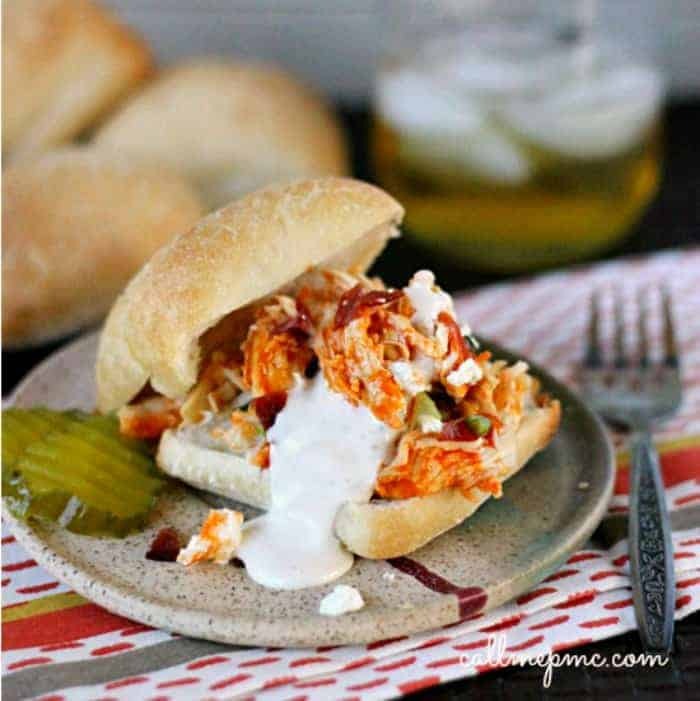 Check out these super tasty Slow cooker Buffalo Chicken Sliders that Dad is going to love. This is the perfect dish to throw in the slow cooker, go spend the day having an adventure with Dad and then come home to dinner already finished! Excellent! Steak is a treat for many Dads and is just not something we eat every day in our house. 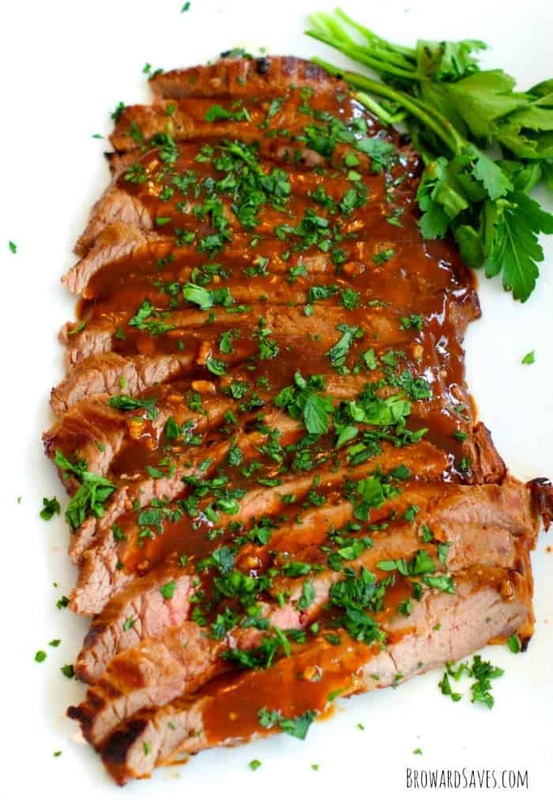 This quick and easy Marinated Flank Steak has literally four ingredients and will come out divine. I also really like that you can broil this recipe in your oven, or throw the steak on the grill to keep the heat outside. Either way, this steak is going to taste delicious and comes together simply. 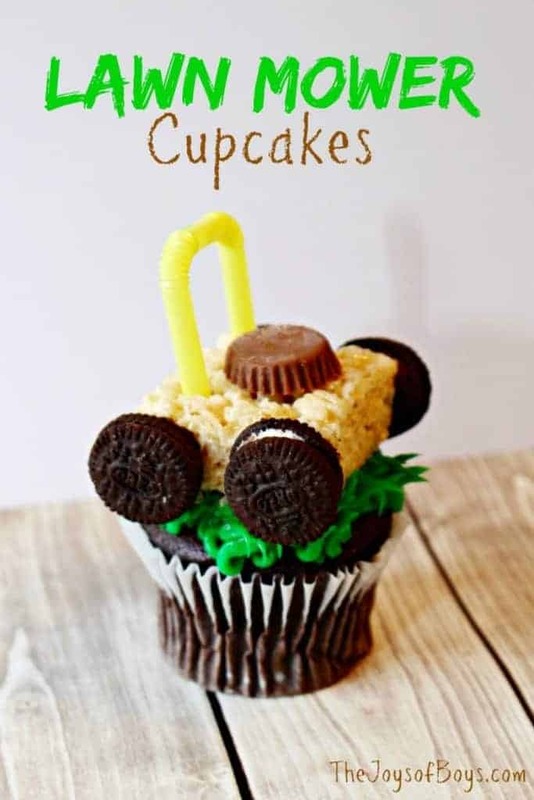 Oh, my stars, how cute are these Lawn Mower cupcakes? While my husband and I actually take turns mowing the lawn, he would still get a kick out of these fun cupcakes! These also look like a fun recipe to have the kids help you make for dad. Oh my word those ribs look delish! My husband loves ribs. Father’s Day is such a great moment to cherish to express the love you have for your dad & these are some delicious recipe ideas to make it so special. I love that Jalapeno Pepper Cheesy Bread & that Buffalo Chicken Sliders among these. Boubon Peach BBQ sauce…ooo…that sounds delicious! I don’t eat tenderloin as much as I would like to…my Mom makes it often. We make Santa and Rudolph pancakes similar to the dad pancake. My kids love them! 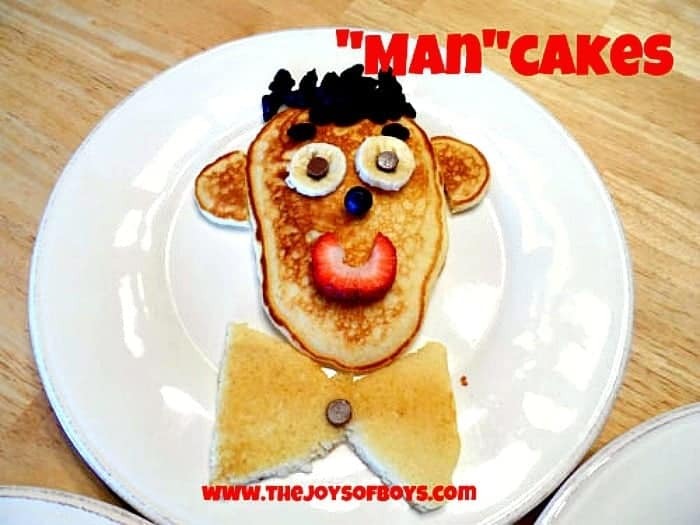 The mancakes are absolutely adorable and I’m sure any dad would love them. Oh but those ribs look awesome! Yum! The mancakes are so hilarious! I love it! I definitely want to make those ribs and the pork tenderloin!